Hold the hash browns—these are better! 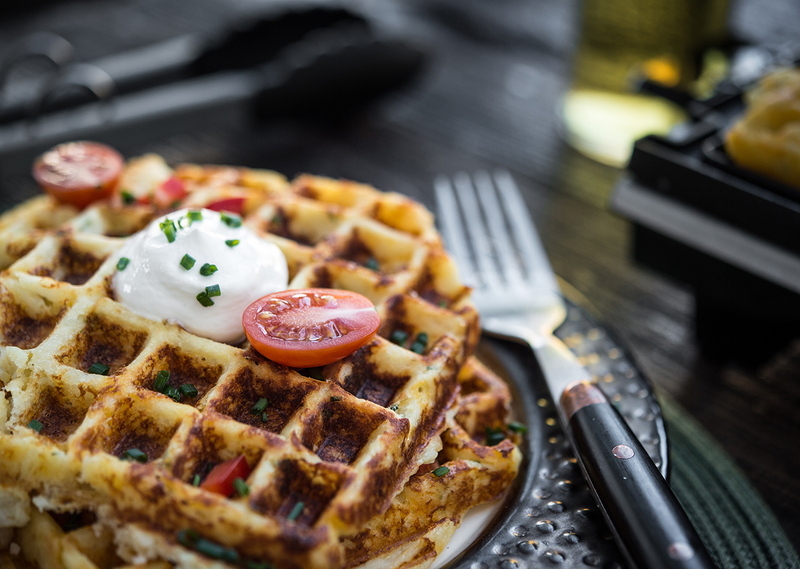 Enjoy the crispy, buttery goodness of the waffled mashed potatoes at breakfast or as a side dish with dinner. The creamy texture of the mashed potatoes paired with the crispy exterior really sets these apart! In large stockpot, add chopped potatoes and fill with just enough water to cover potatoes. Bring water to boil over medium-high heat and boil for 8-10 minutes, or until potatoes are soft enough to pierce with fork. Drain potatoes and place back on burner. Turn down heat to low and cover for 15 minutes. In large bowl, mash potatoes with hand masher until smooth. Mix in remaining ingredients until combined. Add additional milk if mixture seems too thick. Scoop ½ cup of mixture into center of each waffle plate. Close lid and cook for 7-8 minutes, or until waffles are crisp. 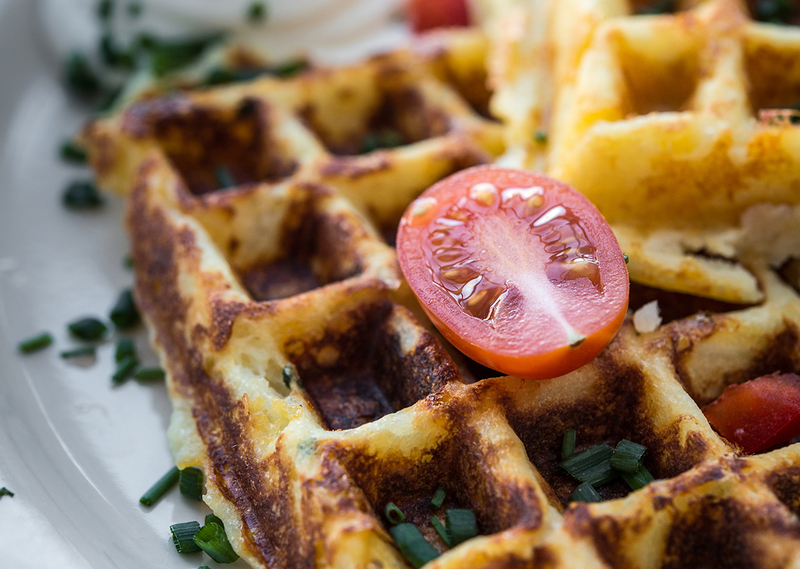 Remove waffles and place on wire rack to cool. Repeat with remaining mixture.